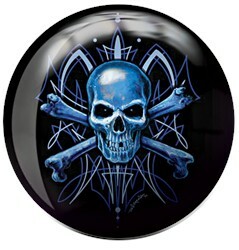 Destroy the lanes with this Skull Viz-A-Ball! Slide this ball down the lanes to knock out any pin that's in your way! The outer layer was cheep and began chipping after the first game, I have stopped using the ball due to the scratches and chips on it just keep getting worse with use. Can I get this ball in a different color? Unfortunately, this is the only color it will come in. 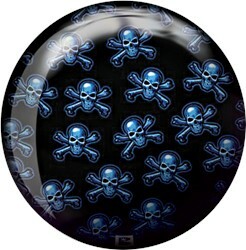 Due to the time it takes to produce the Brunswick Skull Viz-A-Ball ball it will ship in immediately. We cannot ship this ball outside the United States.